A new study has been released, which shows that the number of fatal pedestrian accidents has risen dramatically over the last two years. The numbers released in the study are very surprising considering all the advances made in vehicle safety. Since 2014, the number of fatal pedestrian accidents has risen 22%. In 2015, pedestrian fatalities numbered 5,376 and in 2016, it was projected that there were 5,997 pedestrian fatalities occurred. What's behind this recent spike in pedestrian-involved fatal accidents? Distracted drivers are a major cause of the dramatic increase in fatal pedestrian accidents. Cars may have become safer with more and more features installed to prevent accidents, but they cannot provide much help if the driver is not even paying attention to the road ahead. Distracted driving is a major cause of countless accidents on the road. Drivers using their cell phone to text, talk to someone, get directions, or even take pictures are all resulting in accidents, especially pedestrians. These accidents are not just occurring in big cities, but also happening more in rural areas. Pedestrians cannot just assume that because they have the walking signal that a driver will automatically give them the right of way because that driver may not even be paying attention. Next time you cross the street, look both ways and beware of distracted drivers. You may see them, but drivers may not see you because their head is buried looking down at their cell phone. Stay safe as you cross the street, and always remember to cross with the signal and stay inside the crosswalk. 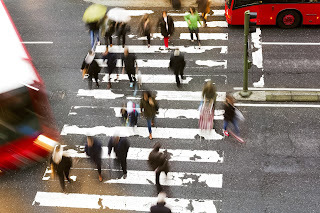 If you or a loved one has been injured or killed in a pedestrian accident, call the attorneys at Portner & Shure today for a free consultation: (301) 854-9000, (410) 995-1515. Did the Insurance Company Rush You Into a Settlement? You May Be Able to Void it! Did you or a loved one agree to settle a personal injury case without the advice of an attorney only to realize that the insurance company gave you a bad deal? Or did you discover that your injuries are more severe than you had originally thought and the settlement isn't enough to cover your medical bills? Unfortunately, car accident victims are faced with these dilemmas nearly everyday. Insurance companies love to try and settle out a claim as quickly as possible and will do so by paying as little as possible to the injured accident victim. Anyone faced with these problems would most likely believe that they are out of luck and have no turning back after accepting a settlement soon after an accident. Most law firms will likely reject your case because you have already signed a release form. In Maryland, there is a law in place that does offer protection to injured accident victims if they are rushed into settling with an insurance company and quickly asked to sign a release. In most cases, a signed settlement with release is enforceable and cannot be voided. However, there are situations where you may be able to void a signed settlement. If you were offered a settlement and signed a release within 30 days of an accident without ever contacting an attorney, Maryland law gives you 60 days to rescind your agreement and void the settlement. This would allow you to hire representation in order to obtain compensation that truly covers your medical bills and pain and suffering. If you were injured in an accident in Maryland and an insurance company rushed you into a settlement that you do not believe is fair, call Portner & Shure today for a free consultation: (301) 854-9000, (410) 995-1515. Injured by an Emergency Vehicle in Maryland? Here's something you probably have never thought of: what happens if you're injured in an accident caused by a speeding emergency vehicle? We see police cars, fire trucks, and ambulances speeding by us everyday on the roadways. In Maryland, operators of emergency vehicles have certain privileges when it comes to traffic laws, but that does not mean that they are completely immune from liability if they negligently cause an accident. Accidents involving emergency vehicles do happen, and in some circumstances, the emergency vehicle can be held liable. Maryland traffic laws allow emergency vehicles to run red lights and pass stop signs as long as they first slowed down to ensure they could pass safely. These vehicles are also allowed to exceed the speed limit as long as it is possible to do safely. Ordinary negligence of emergency vehicles operated by a government entity can only result in, at most, $30,000 in insurance coverage. However, if you can prove gross negligence on the part of the emergency vehicle, Maryland law caps damages at $400,000. If you've been injured in an accident caused by the negligence of an emergency vehicle, call the attorneys at Portner & Shure for a free consultation today: (301) 854-9000, (410) 995-1515. 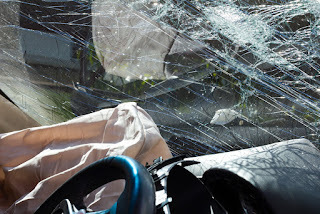 If you've been injured in an auto accident due to someone else's negligence, you may think that it is not a big deal and you can resolve any issues on your own. That is not always the case, however. You may think it is a straightforward process, but it can be quite complex. 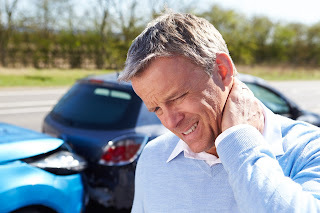 Dealing with insurance companies after an accident can be frustrating, and oftentimes, insurance companies will not make fair settlement offers when they know someone is not represented by an attorney. In fact, insurance adjusters will try to pay you as little as little as they can to make your case go away. If you've been injured in a car accident, you absolutely need to get an attorney. Once you hire an attorney, the attorney will deal with the insurance company and work to get a top offer. Insurance companies tend to make higher offers when attorneys are involved than when people are unrepresented. When you have an attorney, they will work with you to strategically handle your medical expenses to maximize the amount you will actually get in your pocket after settlement. And most importantly, if the insurance company denies fault, our attorneys can file suit for you to have your case heard in court. As you can see, there is quite a difference in handling an accident case without representation than handling a case with an attorney. If you've been injured in an accident, call the attorneys at Portner & Shure today for a free consultation to discuss your case: (301) 854-9000, (410) 995-1515. On March 6, 2015, our client was involved in an accident that occurred in an I-95 Rest stop parking lot. On the night of the accident, the highway was becoming snow covered, so our client decided to pull into the Rest Stop to wait out the weather. While his vehicle was parked in the lot, the Defendant collided with the rear of our client’s vehicle, which resulted in damage and injuries. The liability insurance adjuster refused to make any good faith offers, with their highest offer coming in at $7,400.00. We filed suit in order to obtain a better result for our client. The Court awarded our client $28,000.00, which was significantly higher than any offer made by the liability adjuster. Our client was happy with the result in his case.